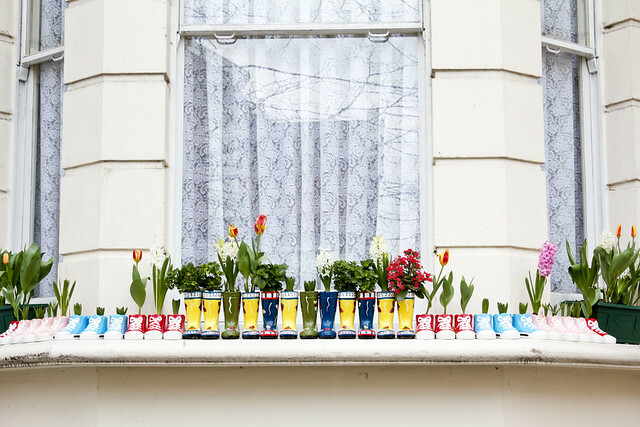 Spring is officially here and this playful window sill gracing our street couldn't be any more perfect. Is this a spring tradition in a certain culture? Or is our neighbor just really fun and creative? Either way I'm glad it's there to jump-start the season and perk things up around here! This weekend should be a nice combo of play and work...hopefully the sunshine joins the fun. Have a wonderful weekend...enjoy the new blooms!